Now, I'm not completely hating on TV. I have my favorite TV shows and can sit in front of a TV for hours on end. However, for the most part, the average person probably spends way too much time just flipping through channels or watching something that they probably don't even like. We got rid of cable and even Netflix over one year ago (I recommend getting a digital antenna! ), and it's the best decision we've ever made. We're able to save more money, we waste much less time on TV, and we've found plenty of better things to do instead of watching TV. If you feel like you aren't accomplishing your goals in life or that you are always pressed for time, then you should first analyze how much time you're wasting each day, especially when it comes to how much TV you watch. You may not even realize how much time you spend in front of the TV! 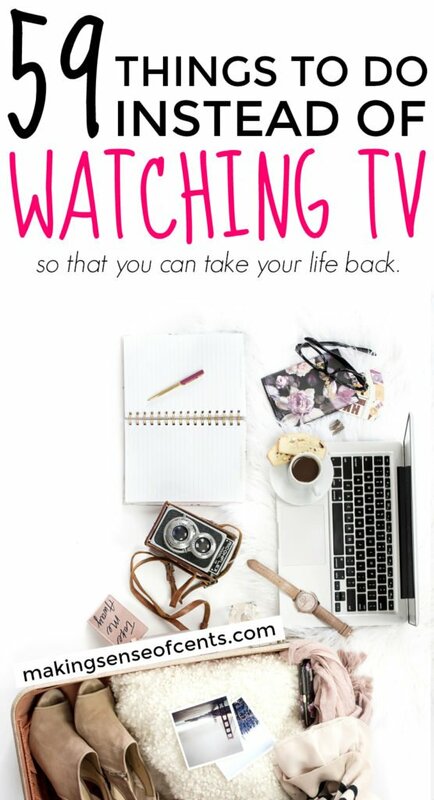 Once you realize how much time you are probably wasting in front of the TV, I want you to start taking back some of that time, stop watching as much TV, and put your time to better use by finding things to do instead of watching TV! Here are 59 things to do instead of watching TV. Improve your knowledge and experience new things. If you are looking for things to do other than watch TV, then you may want to learn and experience new things in your life! There are always new things to learn and experience, and this can help you grow and learn more about yourself. Plus, you will never know what you are talented at unless you try. You may even find a new favorite hobby! Learn a new skill. There are so many things to learn, such as how to knit, crochet, dance, draw, paint, rock climbing, fishing, cooking, and more. Read a book, blog, etc. If you're looking for things to do instead of watching TV, then reading is a much better option! Go to the library. You can borrow books or movies, which you can then bring home and have a fun night in with friends and/or family. Go to a museum. When was the last time you went a museum? Attend a concert. Even better, find free concerts in your area! Learn how to invest. Investing is important because it means you are making your money work for you. If you weren’t investing, your money would just be sitting there and not earning a thing. This is important to note because $100 today will not be worth $100 in the future if you just let it sit under a mattress or in a checking account. Learn how to invest at The 6 Steps To Take To Invest Your First Dollar – Yes, It’s Really This Easy! Active things to do instead of watching TV. I believe that some of the best things to do instead of watching TV are being active and going outside. This can help to improve your mind, your well-being, and more. Find free attractions in your city. Read more at How To Be Frugal And Fun (And Not Boring). Do things around your home instead of watching TV. Nearly everyone has something they need to do around their home. However, you may procrastinate by watching TV. Well, you should stop that now and finally tackle your to-do list! Organize. You could organize paperwork, drawers, crafts, your basement and/or attic, and more. Get rid of your clutter. 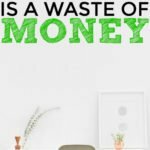 Most people have way too much clutter – start getting rid of some of it! DIY projects. Everyone has that project they want to complete. Why don't you start doing it? Spend time cooking better meals. Who doesn't want to eat better?! Complete maintenance around your home. There's almost always something to do around your house when it comes to maintenance. Fix something around your home. Pretty much everyone has something that's broken in their house. Spend some of your spare time and finally fix it! Improve your financial situation. 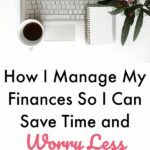 Financial freedom is when you are able to live life without constantly worrying about money. It’s when you feel comfortable enough to follow your passion instead of thinking about the income you are bringing in. It allows you to not stress about an unexpected expense because you have an emergency fund. Financial freedom isn’t about how much money you make. It’s about how much you save, your financial habits, your financial goals, and more. Read more about this on Yes, You Can Reach Financial Freedom. Start a garden. Fresh food is the best! Find a way to make extra money. I talk a lot about making extra money, and I do this because I truly believe that learning about and actually making extra money can change a person’s life. What better way to spend your time then by making money and improving your financial situation? Here are several things to do instead of watching TV, AND you can make extra money! Start a blog. The top thing I recommend doing to make money instead of watching TV is to start a blog! Blogging is how I make a living, and just a few years ago I never thought it would be possible. In fact, before I started my blog, I didn’t even know that blogs existed! I currently earn around $100,000 a month with my blog. I also have a Free How To Start and Launch A Money-Making Blog Course that you can join, and it will help you start and launch a successful blog. Proofread for a living. In 2014, Caitlin made slightly over $43,000 as a freelance proofreader, while also going on several fun vacations. If you are looking for things to do instead of watching TV, this may be something to look into. Learn more at Make Money Proofreading By Becoming A Freelance Proofreader. Edit content. Websites, books, courses, and more all need editors! No matter how many times a person reads a piece of content, something usually slips through. If you’re a grammar-nut, then this can be a great way to make money. Become a photographer. Do you love photography? You might be able to make money as a wedding photographer, portrait photographer, event photographer, and more. Learn more at How To Make $25,000 – $45,000 A Year As A New Photographer. Host a garage sale. A garage sale can be a great use of your time because you can finally get rid of the extra stuff laying around your home as well as make some money! Answer surveys. Survey companies I recommend include Swagbucks, Survey Junkie, Clear Voice Surveys, VIP Voice, Product Report Card, Survey Club, ProOpinion, Pinecone Research, Opinion Outpost, Survey Spot, and Harris Poll Online. These survey companies are free to join and free to use! You get paid to answer surveys and to test products. It’s best to sign up for as many as you can, as that way you can receive the most surveys and make the most money. Become a bookkeeper. Ben, founder of Bookkeeper Business Academy, explains how becoming a bookkeeper may be a possibility for you. Ben helps people start and grow their own bookkeeping business with his online bookkeeping course. And, guess what? You don’t have to be an accountant or have any previous experience! This can be a great way to find something to do instead of watching TV. Learn more at Make Money At Home By Becoming A Bookkeeper. Become an Uber or Lyft driver. Spending your spare time driving others around can be a great money maker. Read more about this in my post How To Become An Uber Or Lyft Driver. Click here to join Uber and start making money ASAP. Sell/donate blood, plasma, eggs, etc. Yup, all of these can be sold for a price, and you can definitely make extra money by doing so. Women can earn anywhere from a few thousand dollars to $10,000 or more for their eggs, depending on their characteristics. Egg donors are typically under the age of 30 and healthy. African American women and Asian American women usually earn the most money as there is a larger need for their eggs. This is not easy money, though. There are a number of doctor’s visits, and extracting the eggs requires a medical procedure. For sperm, the average donation pays anywhere from $50 to $100. It can be quite easy to donate, and some men donate as much as 2-3 times each week. Mystery shop. If you're looking for things to do instead of watching TV, then you may want to try mystery shopping. Yes, you can actually get paid to shop at stores and eat at restaurants! A few years ago, I mystery shopped a lot to make extra income. I made anywhere from $150 to $200 a month mystery shopping and received free meals, makeup, and more. I only used Bestmark for mystery shopping, so I know that they are a 100% legitimate company. There are other legitimate mystery shopping companies that exist, but you do want to do your research. By finding ways to watch less TV, you can finally regain your life and improve your relationships. Plus, you never know if someone wants you to reach out to them. Send someone a handwritten letter or a thank you note in the mail. Taking the time to do this can go a long way. Call someone you love. A phone call may be exactly what you or someone else needs right now. Spend time with family or a friend. You can never have too much quality time. Plan a get-together. Getting everyone together can be a great way to catch up. Cook a meal for someone important to you. Whether a friend just had a baby or if you know someone who is having a hard time, cooking a meal can mean a lot. I believe that random acts of kindness can benefit everyone. Random acts of kindness can positively impact others and they are great for the soul too. Whether the gesture is big or small, every act goes a long way. The smallest gesture can make someone’s day and completely change how they are feeling! Smile and say hello to everyone you cross paths with. I do this with everyone I see and it’s always great when someone does it back. Donate items from your home. Another thing you could do is donate an item for every one you bring home. So, each time you buy a shirt, donate a shirt! Bring a trash bag on a walk and collect any trash that you may come across. Foster an animal. If you’re able to, possibly adopt a new pet as well. Become a Big Brother or a Big Sister. Spend some time on Free Rice. For each answer that you get correct, the website donates 10 grains of rice through the World Food Program to help end hunger. Plus, it’s free to play! Create ready-to-go-bags for the less fortunate that you come across. You can help the homeless by filling a bag with a small bottle of water, a quick snack such as raisins, gloves, toothpaste, a toothbrush, small packets of dog food (their dogs are hungry too! ), and more. Find more ideas at 58 Random Acts Of Kindness. How many hours do you spend watching TV each week? What do you think you could do instead of watching TV? 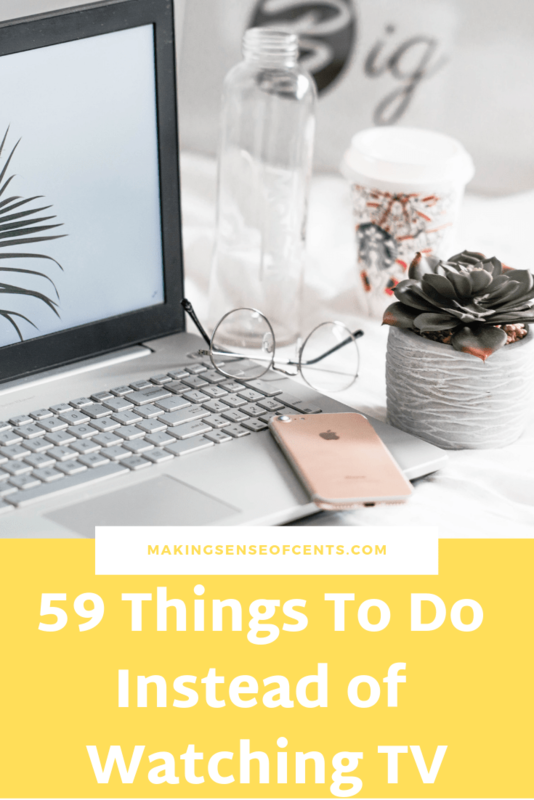 I hope you enjoyed this list of 59 things to do instead of watching TV! 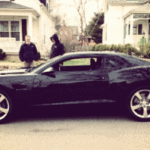 Should We Get Rid Of A Car And Just Have One? I love this. I don’t watch TV at all. About once or twice a month, I’ll watch a film, but that’s it. It just doesn’t interest me. Right now I’m editing a pdf about blogging, and one of the tips I share is to “Kill Your Television”. People who spend the equivalent of a part-time job on TV but who complain about their finances need to cut the thing off and do a side hustle. I just wrote a post similar to this on my site. We dropped cable a few years ago and it has been amazing how much time it has opened up. I just didn’t realize how many hours a day our TV was actually on. Judging by the comments I received on my post, it sounds like many that drop cable just replace it with Netflix, Hulu, etc. and end up watching just as much or more TV. I think people will be happier as a whole if they give up watching TV during the week and spend their time at home pursuing a passion. Be it a sport, a side hustle, whatever. Working towards and achieving something for yourself will lead to a lot more happiness than watching TV for hours on end. At least that has been the case in my experience. Yes, for sure! We gave up TV and it’s so great. I don’t think I watch this much but who knows? I might be surprised if I added it all up. I think it’s more about 1-2 hours per day for me. That’s about all that I really have time for. It’s funny because the other day my wife and I were talking about movies that had come out or that were coming out on video, and she lamented that I used to be such a ‘movie watcher’ back when we first met, but that I no longer really do. I said it was because we’re so much busier now and that movies/TV just aren’t the priority they once were. I think that’s around the same that I watch too. We watch a lot of TV in our household, especially on weekends. It’s pretty bad how many episodes we can finish on netflix of any given show at a time. Recently, we have changed up our schedule to add in more time for reading and other activities. I watch less than 10 hours per week…I didn’t used to watch any, but then we got Netflix and I’ve found a couple of shows I like – plus it’s winter. Great suggestions on alternative activities – I would rather read a book than watch TV any day! So true, Michelle. In my current house we decided to keep iPlayer/Netflix but not have cable or anything – it’s crazy how much more productive you can be without the temptation of regular TV! I bet moving into your RV pretty much eliminated TV for you both? We don’t watch anywhere near the same amount of TV ever since we moved into the RV – it’s great! We cut our TV several years ago and it was the best thing we could have ever done. Instead of watching TV it gives us the opportunity to learn by doing other things. I’m still guilty of watching a lot of TV. I try to keep it to be about an hour or so in the evening, but the bad thing is I often replace a lot of my TV watching with YouTube videos. Instead of doing that, I could be doing something a lot more productive! Honestly, I don’t know how some people keep up with all the new shows out there. There’s a lot of good stuff out there, but not enough hours in the day to watch all that stuff, and still work on other things, and read books too! Yes, I agree! There are so many shows. These are such great ideas! We used to do a TV-free day and I was amazed how much more productive I was. I like TV as much as the next person, but it is a time-waster–especially in an era where we all complain about not having enough time. There’s time in the day if you create it; you just have to let go of something, and TV is one of those things. Yes, TV is definitely one of those things. Great post! TV is fine, but definitely shouldn’t be our default time filler. I stopped watching TV a few months ago. It’s crazy how much time you “waste” when you are watching TV. In the meantime, I’m reading and blogging with the saved time. I have a goal to read 75 books in 2017, am already through 6 books!!! Great job! 75 books sounds amazing! I recommend using Headspace to meditate. It’s free. You can also go on YouTube and they have free guided meditations on there as well. I try to do it daily for 10-15 minutes. We haven’t had cable in our house in years! Even with 2 kids under the age of 6, we only watch around 30-60 mins of TV per day (Netflix & Hulu subscriptions). At a recent visit to my son’s doctor, she recommended no more than 2 hours of screen time per day (includes TV, Ipad, video games) for a 4-year-old! I was shocked! 2 hours per day is entirely too much especially when they are in school full time (where do they find the time for TV??). Kids especially need to get out more. I didn’t even own a TV when I was single in my 20s and those were some of the best years of my life. Thanks for sharing this inspirational post, I hope others get off the couch as a result! Michelle, I wanted to leave a comment on your other post about ways to make money but it wouldn’t let me. But I wanted to say I have done a lot of those things including, driving for Uber/mystery shopping/online surveys/sell things on craigslist, etc but they did not amount to much money. One thing I am doing right now is Surrogacy (which is something you could recommend for women open to it). I’m now thinking of blogging or creating a Youtube channel. Those seem like options that could possibly amount to something substantial because you are being paid by advertisers in both scenarios. I don’t know anything about Blogging or creating a Youtube channel so I would need to do my research this year. Do you know anything about creating a YouTube channel? What would happen when you tried to leave a comment? Sorry, I don’t know anything about creating a Youtube channel- your idea sounds interesting though! There was just no space for it.. Okay if you find out anything that would be really interesting to learn about! Yes!!!!! I’m always trying to find ways to cut back on TV. I’ve gotten pretty good at it. I only watch a few major series like Atlanta on FX. Otherwise, I try to be more active with the gym etc. and other things that made your list. 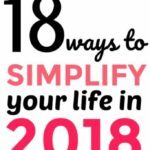 I also created a mega round up on it last year http://taytalksmoney.com/instead-of-tv/ so the non-TV ways to be productive are really endless! Fantastic suggestions. Like you, I highly recommend reducing TV consumption. Once I started cutting out TV, my personal growth exploded! Suddenly all the goals I wanted to accomplish were getting done! Thanks for posting Michelle. Loved it. I waste so much time on TV, certainly grabbed some ideas to use my time more wisely! TV is such a time-waster! We know this very well. A few years ago, we’d get off work and since we were tired we’d flop down on the couch with no productivity. Those things were for the weekend, but then that left us with less fun things to do on the weekend. Finally to save money, we canceled cable and have never looked back! We still do Hulu a little, but at least 3-5 times a week we get to learn salsa dancing! Also we shifted our day to go to bed at 9pm so we can then go walk at 6am in the morning we walk 3 miles & do yoga. It’s been so refreshing and life changing! Shifting your day is such a great idea. Great job!!! Haven’t had cable in years and I don’t think I’ll ever get it again. Netflix and an antenna for the local stuff is more than enough of a timesuck. Great list on things we could do after cutting the cord, Michelle. The time that we spend watching TV could be spent on so much more productive tasks. It’s interesting to see how much time we spend watching the media or just being idle, when it could be used productively. Most sound like great ideas! I would not recommend donating eggs cells though. There are serious risks and complications that can impact a woman’s fertility for the rest of her life. The money may seem tempting, especially if someone is in a desperate situation but it’s just not worth it. There are other significantly safer means of making money, many which are highlighted in this blog. Five years ago I had a DVR full of mindless shows. I hate to even admit the ones from the USA network! Today I bombard my mind with audiobooks, podcasts, real books, online courses, and great blogs like this! My network of people has gone global since I moved overseas and I’m in community forums exchanging ideas every day. It feels liberating and exciting. Very well said! Amazing! When I don’t turn on the TV, I get so much done. Last year, I tried to watch fewer shows and used that time to increase my freelance income and write three children’s books. TV shows are entertaining, sure, but when have they ever loved you back? It is so true 😉 And there are nearly always tv shows where you do not learn something. So you just get stupid watching TV. Hey – great ideas. We currently have cable, netflix, nowTV, (not sure you have that in the US, but it’s another “on demand” type thing. It does cost a lot and we have considered getting rid of it. The main thing with netflix is that I watch loads of series on it and I do love it — I don’t spend that much time watching TV at all, but netflix is like a luxury for me. Cable though…. I could totally do without. Great tips Michelle some time wacthing TV is the wastage of time and money because of electricity bill and cables bills. We watch TV because of our habits and we still watch weather there is intresting program or not. Thanks for the Tips we can do instead of watching TV. It will save money and good for health too. I`m really very excited through reading your awesome piece of content. That`s my point of view, the one should be spending every moment in his/her life on doing something valuable. And the best stuff to be doing is making extra money instead of watching TV. Even though watching TV sometime seems to be awesome thing but It`s old fashion. I am super SUPER picky about picking up any new TV shows for exactly this reason. There is so much TV out there and so many ways to watch that one truly could sit on the couch and watch TV all day ‘er day, be fully entertained, and still not run out of interesting shows. I enjoy TV, but do not want to spend my life in front of the TV. Yes, same here! I could watch TV all day every day but that would be a disaster. We only have a digital antenna as well & cut Netflix about two years ago since we watched everything that interested us (although I do miss a few of their original series). Lately we started renting old series from our library or we stream episodes on the Internet. Even if we need to pay for some, it’s still cheaper than a monthly cable bill. Plus we use that time to do something productive around the house, do a side hustle, or read a book instead. A few campgrounds we visit do not have cable hook-up and I never miss it! I’d disconnect at home without any hesitation if my husband would agree, but he likes having a few local news and sports stations. Great suggestions for things to do instead! You are right on point. There are so many things one can invest their time into instead of wasting it in front of TV. I stopped watching TV last year and don’t care much about the activities going on there except they are helpful to my niche. Definitely guilty of this. Netflix bingeing is a hard habit to kick! But slowly getting there 🙂 Loved this post. I think sometimes it’s easy to figure how a few hours every night adds up. We don’t own a TV and haven’t done so for 4 years. And we’re still amazed at how much there is to do besides being glued to the box. We’re outdoors and travel now more than ever, our dogs are stimulated because of the time we spend with them and our marriage is developing in leaps and bounds! And I believe it’s all due to not owning a TV. It always surprises me when I see the reaction of people when we tell them we don’t own a TV. And when they hear about all the positives, most of them just smile and nod. And I can see they’re thinking something along the lines of “these people are crazy”. I’m in my late 20’s and actually watch a lot of T.V. (Watching Netflix/Playing Video games/Playing phone apps/Browsing Facebook/Pintrest) I would consider all of that part of watching T.V. All those things just kill brain cells, unless you are actually watching something from the History channel that you are learning information. I don’t know how to beat that addiction? After you finish your work day you still have approximately 8 hours before going to bed. A lot of the advice sounds great, but realistically one can’t wash their call daily for 2hrs, work out for 2hrs, play cards for 2hrs, read a book for 2hrs, then go to bed. Wouldn’t you just go crazy? And without T.V. what do you have in the background as you’re playing cards, or working out. I guess having the radio on would make sense. Love the idea’s – I used to binge watch Netflix after I got home from work. Until recently my girlfriend talked me into going to one of her yoga classes on the weekend. I am not into the whole going to the gym routine, but I have really fallen in love with yoga. Thanks! This is a great list of things to do instead of watching TV, more and more I like to do something else, reading and going out for a walk are my favorites! I love anything that takes us away from the television. However, as an actress, watching a film, and occasionally television is like research for me, in addition to entertainment. I feel so much of a pass time is about your intention behind it. If film is an art form that inspires you, why not participate in it? That being said, I probably watch about 3 hours of television per week (including film) and again, really feel like it’s all about the intention behind what you’re doing. When I feel drawn to ‘vegging out’ I increase my self-care with a bath or a gentle walk or I play music I love and just close my eyes and listen. So often and for so many, television has become a default decompression mechanism, and an easy way to avoid the stress of life through distraction. I also meditate daily, however even for seasoned meditation practitioners, TV can sometimes be an easy way to decompress. I suppose what I am trying to add to the discussion, is to look behind your actions to the root of why you are doing, what you are doing, and to live with intention and deep self-care. If TV is just a medication for you, gently turn towards yourself and see if you can change the source of the stress… Then the desire to watch, with time, will melt away. Thanks for this, Michelle! Your blog is an inspiration. great post, thank you for all the suggestions! i came across this post because i was thinking of giving up tv in 2019! so i am hoping to give up computer/internet/news as well – the suggestions from other comments have been great. i just wanted to say that also the pace of life has speeded up tremendously and that a lot of us could probably do with slowing down, stopping to ‘smell the roses’, appreciating life with gratitude, enjoying the every day things, also so many people are constantly on their phones, or social media – it is like a different world has been created that is largely unnecessary. also buying things has got out of hand, what is wrong with what you need? i will certainly do some of these things that have been suggested!